Class up that tuxedo while simultaneously holding your tie in place with the help of Star Wars and this excellent Star Wars Darth Vader's Head Tie Bar! Luke Skywalker would have worn this at his father's cremation, and if it's good enough for the last hope for the Light Side of the Force, then it's good enough for you. Darth Vader's head would look great on your suit! 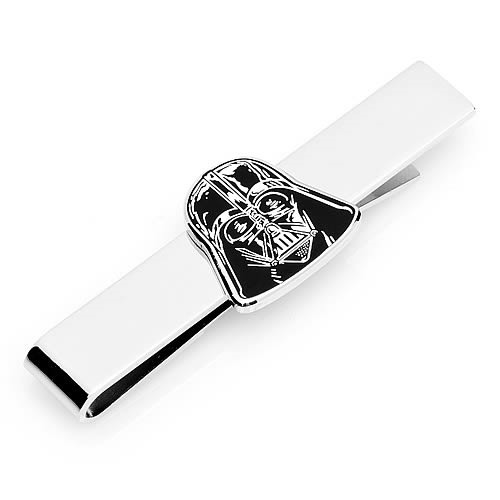 You can really flaunt your fandom when you wear this excellent Star Wars Darth Vader Head Tie Bar. Measures about 2-inches wide.